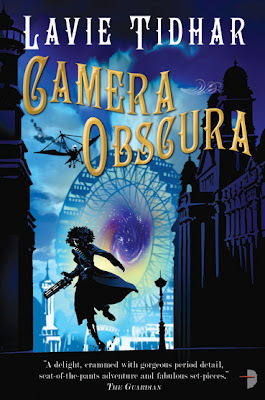 In honor of Steampunk Month Angry Robot was very kind enough to allow me to be the first to show off the cover to Camera Obscura by Lavie Tidhar, which is the second Bookman novel. 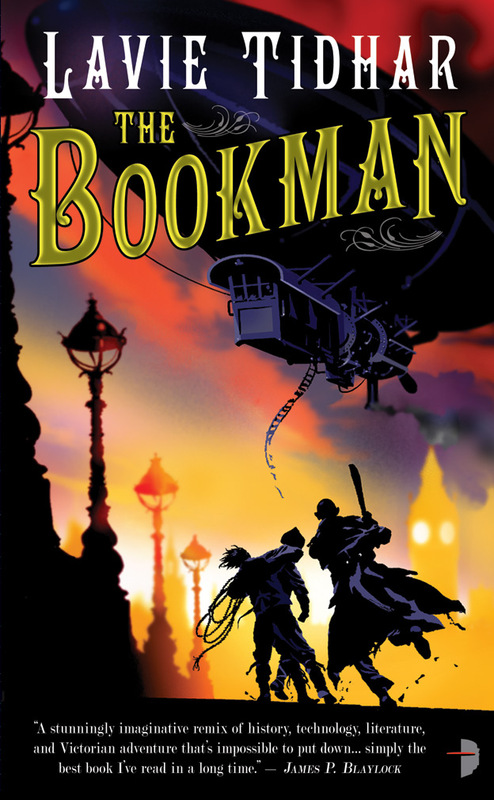 The art follows its predecessor The Bookman both in style and art which effuse a sense of adventure and a comedic side that is very Lavie. I quite like the coloring and the ferris wheel of doom. The Bookman is now available in the US and UK while Camera Obscura will be releases in the US next May. I should add that the art is by David Frankland, of Artist Partners, who also did the cover for The Bookman of course. Cool cover. It has a very distinct style which is something you can't always say about genre art. Both covers are splendid. Angry Robot never disappoints me in the cover area. Now to just try some of their books. I just bought a copy of The Bookman, can't wait to read it. artwork for Camera Obscure looks great as well, and hey . . that is a rather ominous looking ferris wheel, isn't it? I've bought The Bookman but haven't had time to read it yet.